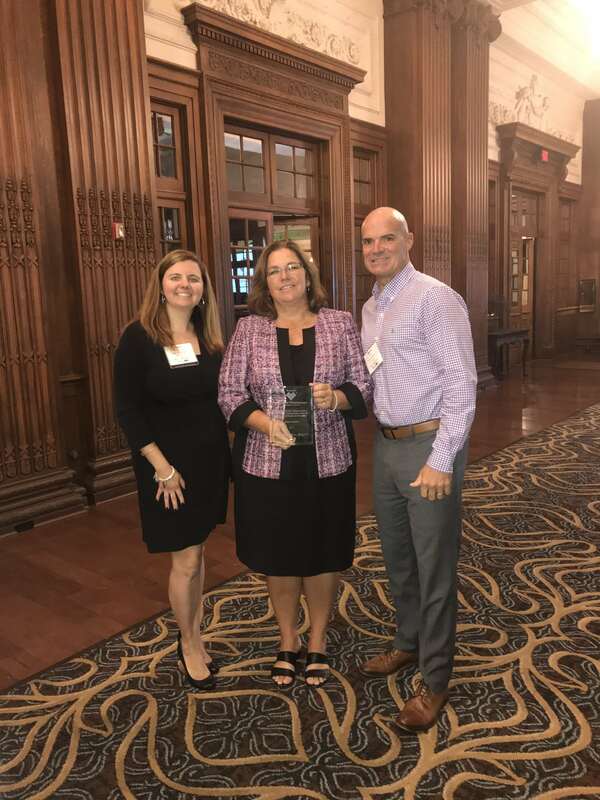 September 2018 – The all-volunteer board of the March of Dimes’ 2018 Transportation, Building, and Construction Awards Luncheon was honored with the Citizen Award by the Philadelphia Inquirer on September 24, 2018. Several board members attended the publication’s inaugural Corporate Philanthropy Conference event, held at the Crystal Tea Room. Envision President & CEO, Victoria Malaszecki, current chair, accepted the award on behalf of the board and the organization. Pictured, left to right, Alexis Dowhie Moyer, Victoria Malaszecki, and Martin Brans, March of Dimes’ Executive Director.